According to recent statistics presented by the NIH National Center for Complementary and Integrative Health, yoga, meditation and other mind-body practices are greatly on the rise in America. This is fortuitous, as these practices have been shown to have a world of health benefits. The latest statistics on the use of mind-body practices comes from the National Health Interview Survey (NHIS), which is conducted each year, and polls tens of thousands of people living in the US. 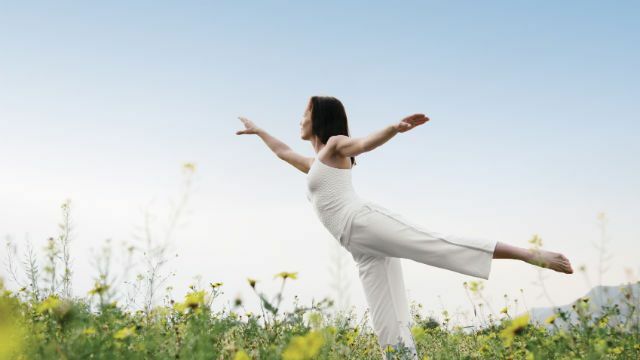 Every five years, a complementary health questionnaire is added to this survey. Researchers compared results of this health questionnaire in 2012 with results from 2007 and 2002, and found that the practice of yoga in the US has nearly doubled since 2002 – with about 21 million adults, and 1.7 million children, practicing as of 2012. On top of that, it was found that just under 18 million adults, and just under one million children, practiced meditation as of 2012 – and that just under 20 million adults and just under two million children receive chiropractic or osteopathic treatments. The rise in the use of these mind-body practices is highly encouraging, and signifies a turn towards natural health options, at least as supplementation, in the US. Yoga – the most popular practice denoted here – has been linked to so many benefits it’s difficult to list them all. On top of greater flexibility, balance and strength, as well as better posture, yoga has been linked to reducing chronic pain, easing symptoms of muscular sclerosis (MS), and even reducing inflammation in breast cancer survivors – to name just a few of the many. The ancient practice of meditation has been found to have as many – if not more – health benefits as yoga. Besides the well-known benefits of stress relief, relaxation and promoting better sleep, meditation has also been linked to reducing chronic pain, boosting the immune system, aiding cancer survivors , and even actually rebuilding the gray matter of the brain. So, what about chiropractic? Well, this practice, as we have reported, may be highly beneficial for many indivdiuals, especially those who suffer from headaches or migraines. It is wonderful that these mind-body practices are becoming increasingly embraced, and increasingly studied – they can do us so much good, it almost seems like a shame NOT to use them. Hey Buddy!, I found this information for you: "Survey Says: Yoga and Meditation are Growing in Popularity". Here is the website link: https://www.thealternativedaily.com/survey-says-yoga-and-meditation-are-growing-in-popularity/. Thank you.